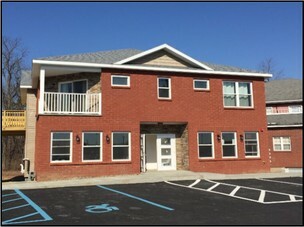 BRAND NEW 2,405 SF PROFESSIONAL OFFICE SUITE WITH 500 SF OF ADDITIONAL STORAGE FOR FREE! INCLUDED IN THE ASKING RENT LANDLORD WILL BUILD TO SUIT. SUPER CONVENIENT LOCATION JUST SECONDS FROM I-90, CROSSGATES MALL AND SUNY POLY CNSE. EXCEPTIONAL EXPOSURE FROM WASHINGTON AVE EXT - OVER 34,000 AADT. EXTERIOR SIGNAGE ON BUILDING. LOTS OF NATURAL LIGHT. WALK TO PINE BUSH PRESERVE NATURE TRAILS. AMPLE PARKING. PRICED TO MOVE!